Hibr Side Sleeper Pillow Review was recently reviewed by the MattressJunkie.com team. Hibr prides itself in innovation and technology and sells their sleep products direct to consumer. By going direct to consumer, Hibr cuts out the middle man and is able to offer much lower prices than what you would normally find in the store. 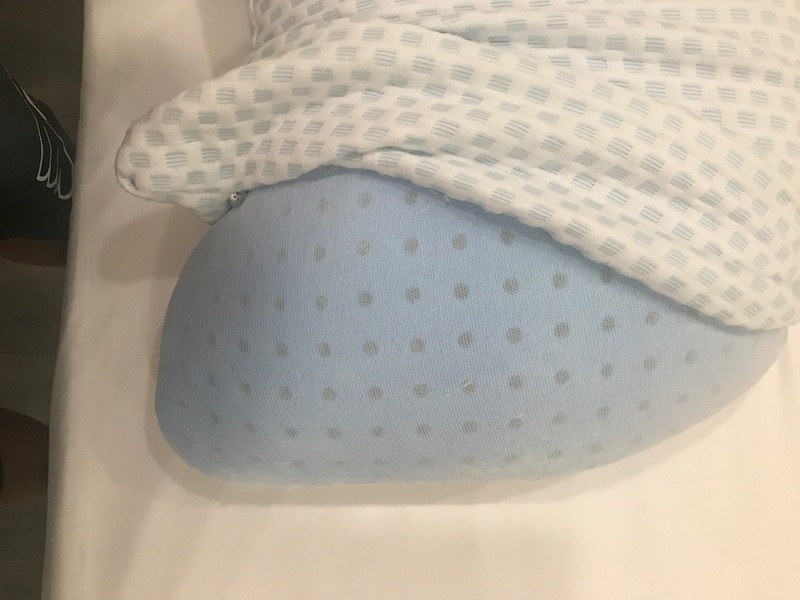 Hibr’s first product was their cooling pillow and since then they have expanded. Hibr now has 2 mattresses and 3 pillows that they currently sell on their site. Hibr is located in Greenville, SC. Check out how the Hibr Side Sleeper Pillow performed in our review process. What sleep position is best for the Hibr Side Sleeper Pillow? Hibr Side Sleeper Pillow is best for side sleepers. This is a no brainer given the name but I also slept with the pillow on my back and also thought the pillow slept very nice. The cut out portion of the pillow is perfect for side sleeping. As a side sleeper, I adjust my pillow so many times in the night. I didn’t wake up 10 times a night like I normally do to adjust with the Hibr Side Sleeper Pillow because my arm fits perfectly under it. My neck is usually my biggest pain point but with the Hibr Side Sleeper Pillow, my spine was perfectly aligned so I woke up pain free. Considering that most people may not know this type of pillow exists, especially if you sleep on your side, this pillow will change your life. Tell me more about the Hibr Side Sleeper Pillow cover. 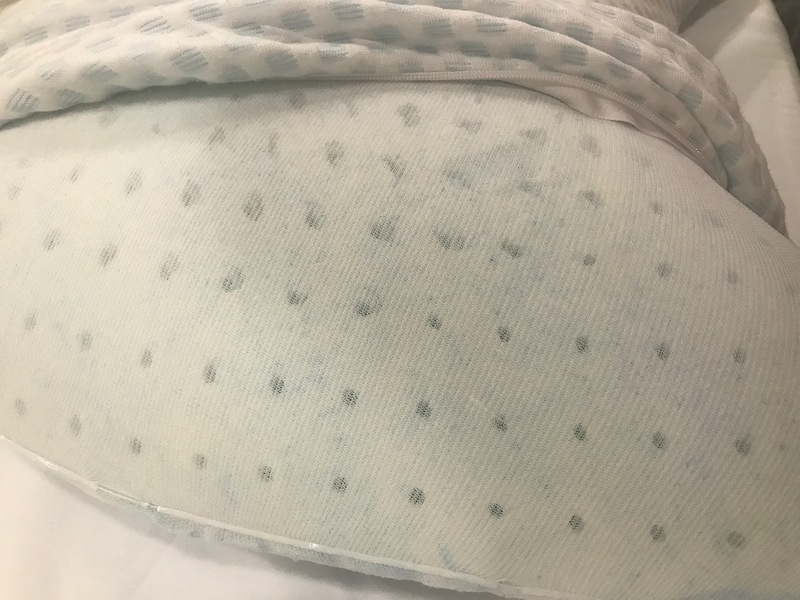 The cover of the Hibr Side Sleeper Pillow is removable and can be washed in the washing machine on delicate cycle. You could use it without a pillow case but I always recommend putting a pillow case on it. The cover is light and breathes well throughout the night. 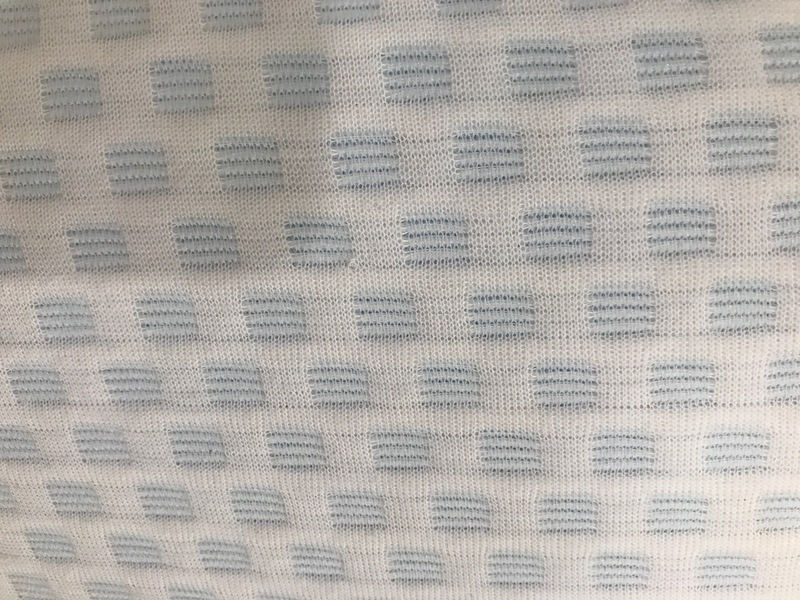 What’s under Hibr Side Sleeper Pillow cover? 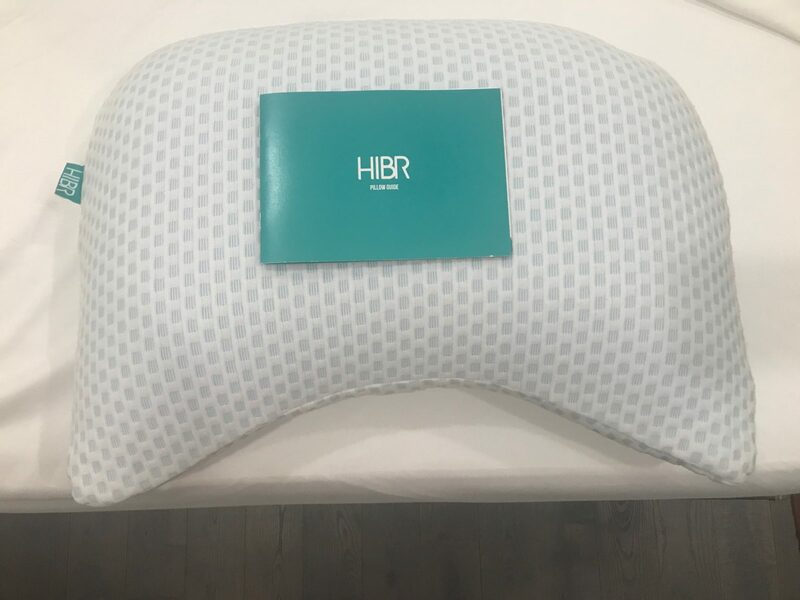 The Hibr Side Sleeper Pillow is made of gel infused memory foam. This allows the pillow to sleep cool throughout the sleep experience. In addition to the gel infused into the memory foam, solid gel capsules are imbedded into the high quality memory foam. Hibr Side Sleeper Pillow breathes well and sleeps cool. There’s nothing worse than waking up hot. Heat retention is something Hibr mastered with this pillow. How much does the Hibr Side Sleeper Pillow cost? The Hibr Side Sleeper Pillow costs $99 USD. What Size is the Hibr Side Sleeper Pillow? The Hibr Side Sleeper Pillow is 22.6 wide and 15.9 inches wide. 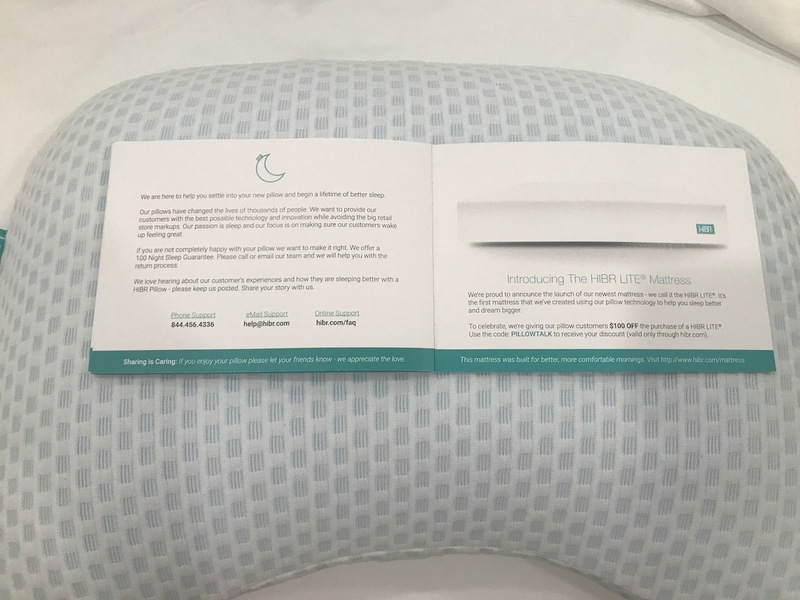 Does Hibr offer a sleep trial on their pillow? 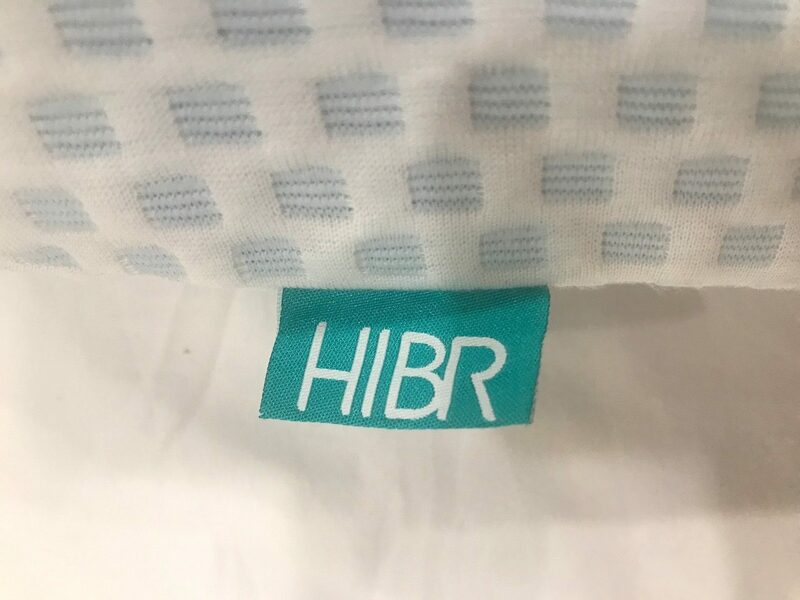 Hibr offers all buyers a 100 day sleep trial. Hibr also allows you to swap your pillow out with another shape if you decide you prefer a shape other than what you bought. Would we recommend the Hibr Side Sleeper Pillow? The Hibr Side Sleeper Pillow really changed how I recommend pillows. As a side sleeper, I have always been annoyed at having to adjust my pillow every night, multiple times a night. I sleep with my arm under the pillow so the kidney shape of the Hibr Side Sleeper Pillow is perfect. I have been using it every night. I had to travel for work last week and really missed it at the hotel. I highly recommend this pillow. The quality is top notch, the design is flawless, and the quality of sleep while using has set a whole new standard for me. You can thank me later. 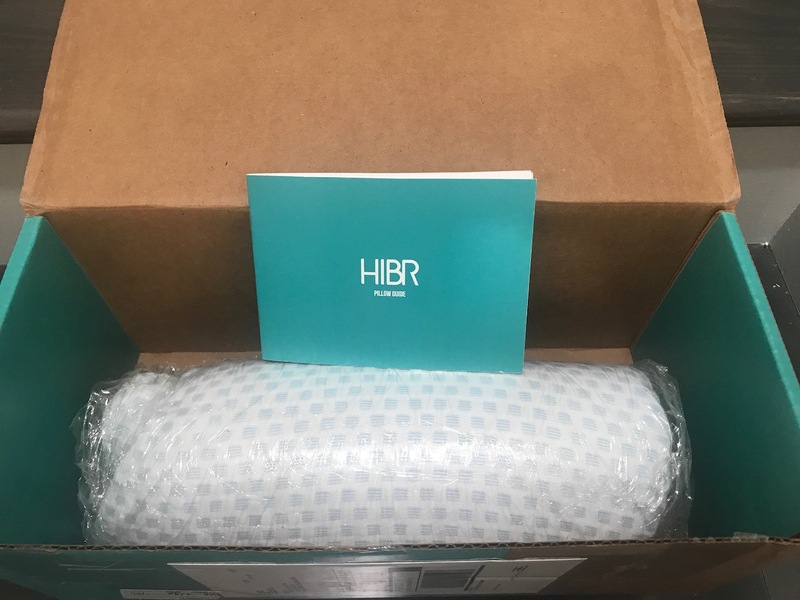 Go ahead and get your Hibr Side Sleeper Pillow ordered now. You will not regret it. Learn more about Hibr here…..